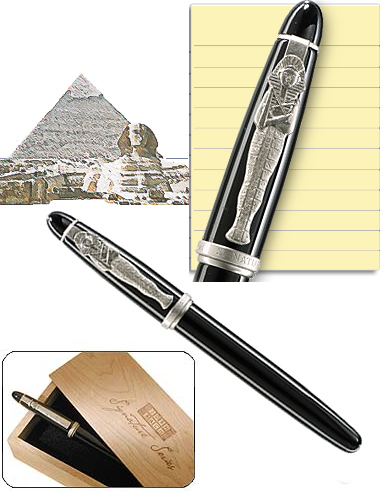 Tastefully and stylishly celebrate your passion for Egyptian mummies with this roller-ball pen's nickel-silver clip and detailing. It is finshed in rich black lacquer and fitted with a cushioned grip. Each of these pens comes in a wooden box. Uses standard refill found in any stationary store.